One of the many fascinating puzzles surrounding the evolution of hominids is at which point in their evolutionary development did they stop behaving like apes and started to adopt recognisable human traits such as leaving an arboreal lifestyle and adapting to a life, walking the open grasslands. A team of American scientists, analysing a single toe bone, dating from around 3.2 million years ago, have suggested that one of our earliest known ancestors Australopithecus afarensis may have been an obligate walker, with foot arches to cushion movement as they walked along. Such evidence, if the controversial interpretation is accepted, suggests that these early hominids had evolved adaptations suited to walking and not for climbing trees. Perhaps the first steps on the pathway to the evolution of ground dwelling human ancestors. According to researcher William Kimbel, (Institute of Human Origins at Arizona State University), one of the authors of this new study, A. afarensis had a permanently arched foot and walked essentially the same as our own species. The fossil of the fourth metatarsal, ascribed to belonging to A. afarensis suggests that these hominids had a foot designed to cushion the effect of walking. This indicates that this particular species was an obligate walker. The research team’s work is published in this months edition of the academic journal “Science”. The team concludes that this research resolves the debate between palaeoanthropologists who think that this species was a biped and those who believe that A. afarensis was a stepping-stone between a tree-climbing ape and full bipedalism. The fossil was found in Ethiopia, at Hadar, the famous location of Late Pliocene aged strata that has yielded a number of exceptional hominid fossils, some more than 3.5 million years old. The area is so important in terms of its fossil hominid remains, that the site is known as the “home of the first family”. The village of Hadar, in the Awash river valley has given its name to the rock formation that yields these fossils – the Hadar Formation. However, not all the scientific community agree with the paper’s findings. Some scientists have suggested that it may be better to assess the degree of arching found in some of the larger toe bones such as the big toe (first metatarsal) before making such claims. Bones of a human foot showing the uniquely arched configuration of the foot bones, and where the fourth metatarsal is located. The 3.2 million year old bones from Ethiopia reveal the foot arches in the ancient hominid Australopithecus afarensis. An almost complete set of hand bones for A. afarensis is known. This fossil was also found at Hadar, it dates from approximately 3.3 million years ago. Metacarpals as well as proximal and distal phalanges are known. This set of bones seem to suggest that A. afarensis had hands close to but not resembling human ancestors. They show characteristics of both an arboreal tree-climber and a ground-based animal. Of course, since no species is fixed, over the time that Australopithecus afarensis existed it is possible that they adapted to a drier climate with less trees and become more accustomed to living on the ground. Over generations, natural selection would have led to modifications such as adaptations to a more ground based existence. 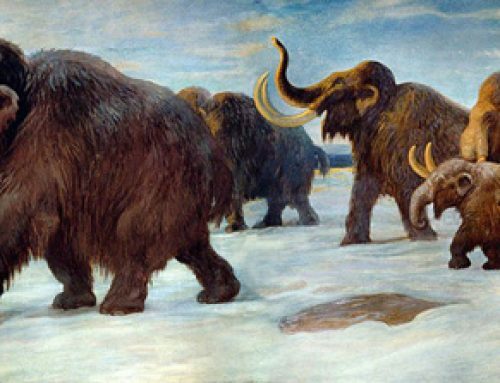 Whether or not these relatively small animals walked the same way as we modern humans do, is open to debate. They may have been upright and competent bipeds, but they probably had a different gait.